In the past iMovie would allow you to add cool visual effects to your videos, but you were never able to mess with the audio. 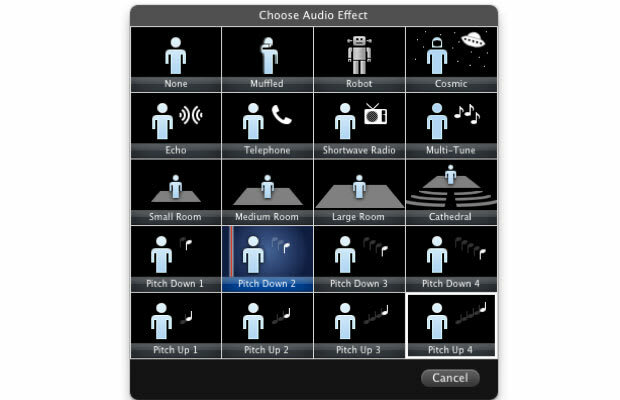 Now you can add effects like Echo, Cathedral, Muffled, and change the pitch of the audio up or down. Open the Inspector menu from one of your video clips. Click on the “Audio Effects” menu. A larger menu will appear with all the audio effects. Mouse over each of them to hear how your audio will sound with the effect put in place. When you’ve found one you’re happy with, click it and it will automatically be applied to the clip.